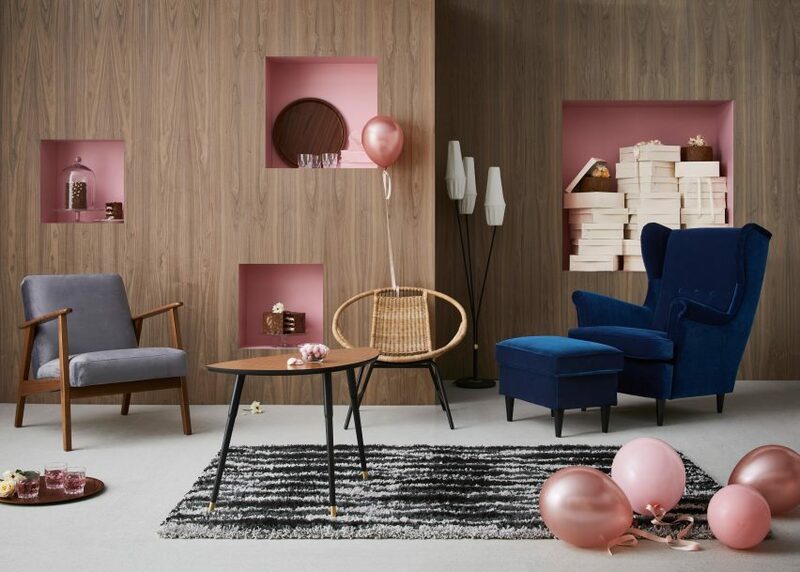 The furniture company IKEA celebrates its 75th anniversary with GRATULERA, a relaunched selection of the brand's most iconic designs. Barnebys takes a look back at IKEA’s history and the pieces that have become renowned around the world. The brand launched in 1943 by Ingvar Kamprad, and became, in less than a century, the world's largest furniture company. A trip down memory lane has served as the inspiration for this jubilee collection. 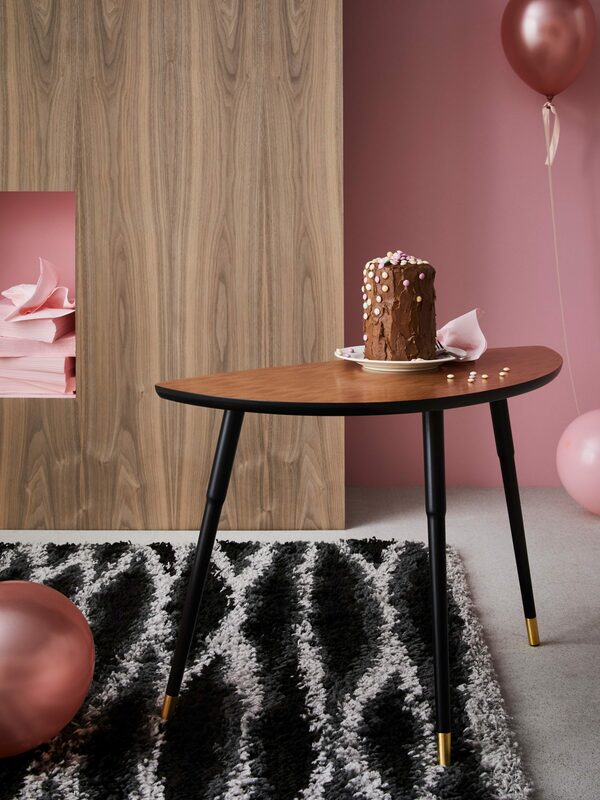 GRATULERA - meaning congratulations in Swedish - showcases the most iconic furniture, lighting and porcelain from the 1950s to 2000s. Lövenbacken, Klippan and Ganget are some of the favourites we will recognise. Several of the products, once considered futuristic, will now take place in contemporary eclectic interiors. For those who bought the products on their first launch, now an excellent opportunity to dust off your IKEA furniture, which in today’s auction market can be highly sought after. "Some of these products are icons when it comes to vintage furniture - they are everywhere today. I still buy IKEA vintage at auctions and second-hand stores. Many people have a longing for history and legacy" says Karin Gustafsson, creative leader at IKEA in a recent press release. The series is divided into three collections, based on specific decades and will be launched during the year in chronological order. The first collection, dedicated to the 1950s and 1960s, will be launched on August 9, followed by the 1970s and 80s in October and finishing with the 1990s and 2000s in December. All products are made in a limited edition. The first part contains models in dark wood, typical for the mid 20th century. When IKEA first opened its doors in 1958, Ingvar Kamprad had the goal of designing modern furniture, which through its forms laid the foundation for the future. It was in this spirit that the armchair Gagnet, with its round seat and curved legs, and the Knäsjölampan with cotton screens, and the Lövenbacken table, were born. Today they are all iconic pieces that once represented the innovation of the time. 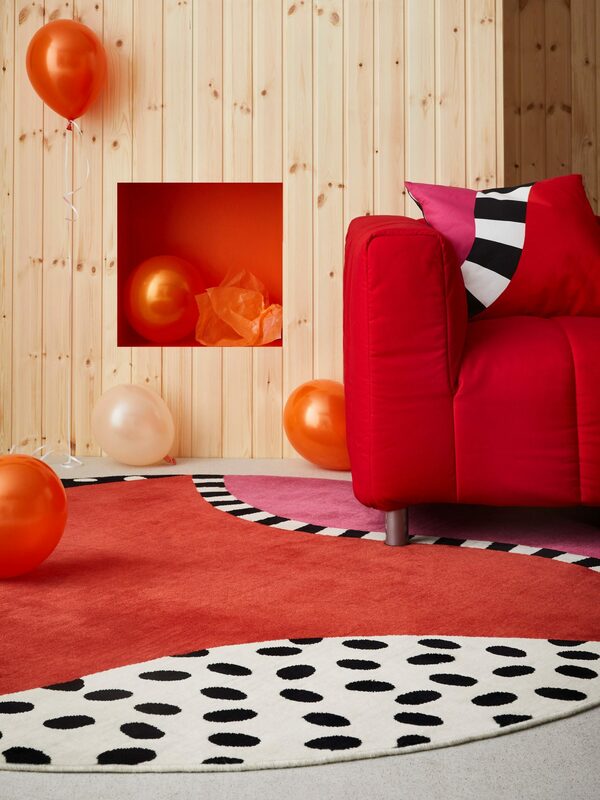 The October collection celebrating the 1970s and 1980s will attract those who love colour and bold forms. 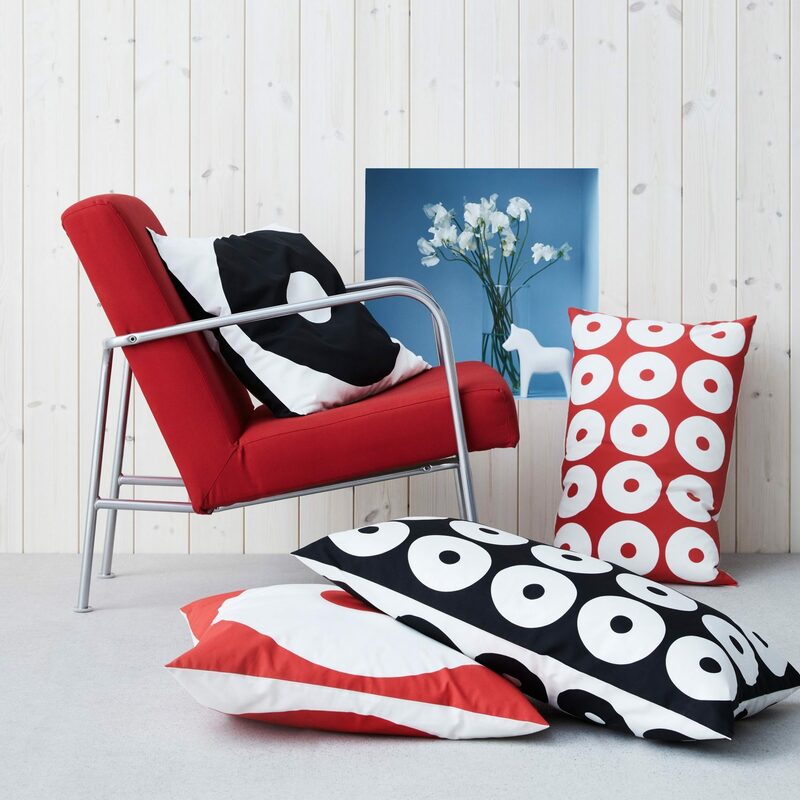 Much of what was designed for IKEA in these decades was inspired by the Memphis Group founded by Ettore Sottsass and praised the world over the 1980s. 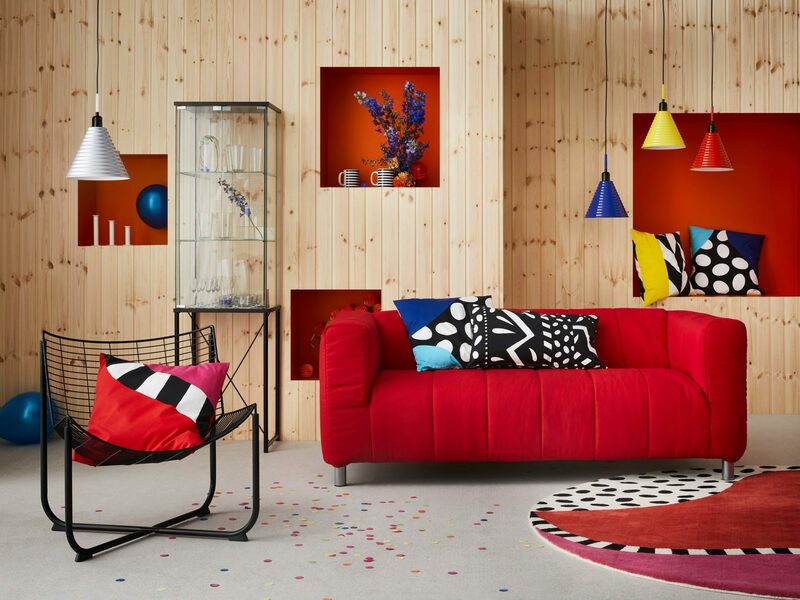 GRATULERA contains chairs with tubular metal structures, soft sofas and bold graphics - all in bright primary colours - something the red sofa Klippan strongly represents. "It was one of the first affordable sofas that the brand had to offer, making it a classic of its time," says Karin Gustavsson. In December, we step into the 1990s and 2000s with a collection that combines minimal shapes, with Swedish birch forests and graphic prints. This collection represents a more natural expression with sculptural furniture, for example, the highly sought after wheeled PS bench designed Thomas Sandell. 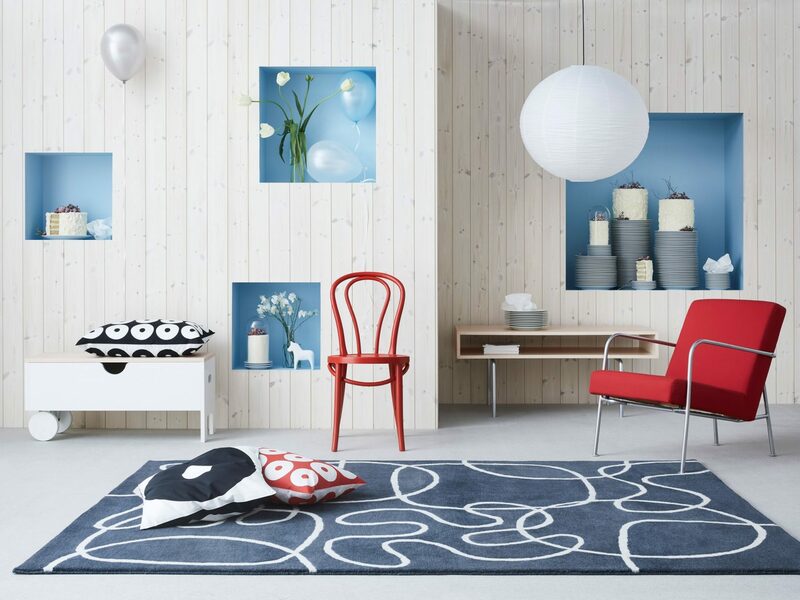 What is interesting is that the products in GRATULERA are not far away from the design offered today at IKEA; the classic items which fit perfectly into modern interiors, show that good design is timeless.